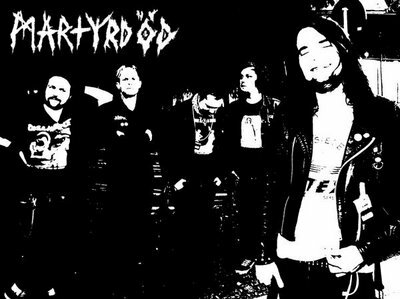 Swedish crust band, and Southern Lord’s latest signing in the field, Martyrdöd will release their first album with the label next month called Paranoia. Right now they’re streaming a new song for your enjoyment – ‘Köttberg’ on Pitchfork. Of course the track is a hectic maelstrom of d-beat fury, with caustic vocals and searing metallic riffs along with some breakneck lead playing. Paranoia comes out May 22nd. Click HERE to listen to the song.